Our 13" Laptop Sleeve is a sturdy way to protect your thicker, more substantial laptops while on the go. 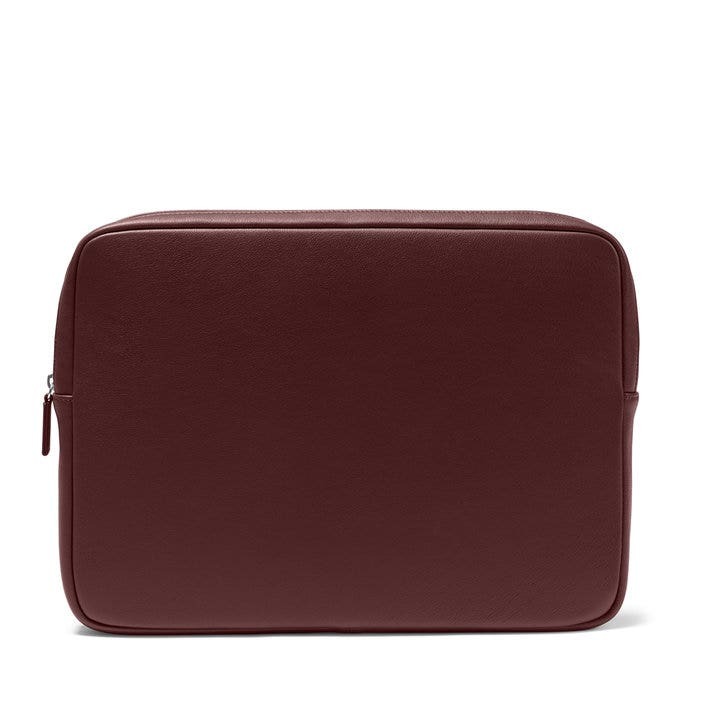 Made of full-grain leather and neoprene, this sleeve has foam padding sewn into the top seam to help keep your laptop in place while a leather zipper on the exterior will make sure it stays in there. Don't take any chances with your notebook - keep it protected at all times with our 13" Laptop Sleeve! I'm a huge fan of leatherology. The merchandise is always delivered quickly, packaged nicely and of great quality. They are my go-to for business gifting. This case again is beautiful; however, it's a bit roomier than I would like. It sticks out of my bag which isn't really a good look whereas the lesser quality case I own fits perfectly. I may hold on to it as a future gift as it is lovely although it falls short of what I expected. This was the perfect graduation gift!